I am in the beginning of my next trip. 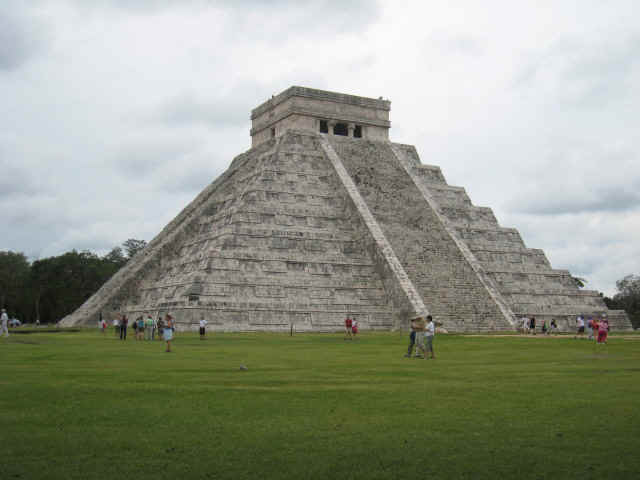 I visited many Mayan sites during my previous trips, but I have big medley in my mind consisting from Maya, Chichen-Itza, Aztecs, Tikal, Plenque, Olmec, Copan and other words. I want to put them in order. 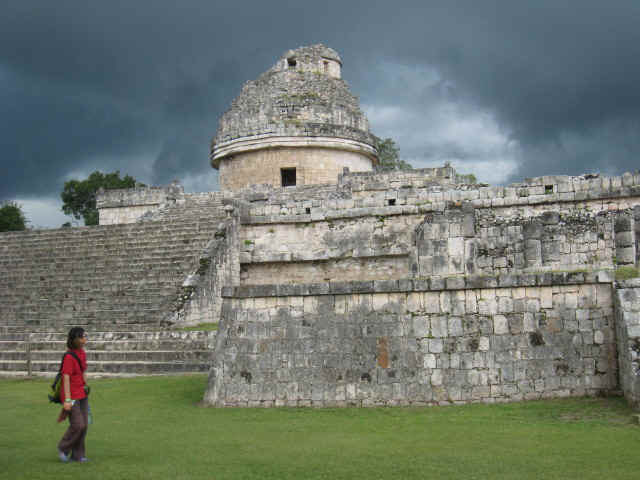 My plan is to visit Tulum, Coba, Valladolid, Merida, Uxmal, Palenque, San Cristonol De Las Casas, Belpoman. Then reach Pacific Ocean and enter Guatemala. Then through Honduras and Belize back to Mexico. I listed major sites, but I will concentrate on less famous ruins usually surrounding these big names. I also have another reason to go to this trip. I developed vertigo. I had previous experience of curing diseases with travel. I cured bursitis in my right knee and teared-off tendon in my left shoulder during my trip to West Indies two years ago. And I cured sciatica pain in East Africa this spring. My concept of curing based on simple observation. People do not get sick during military campaigns or in tough prison camps. Probably human body defense systems, like immune system, strengthen their efforts in such survivor type situations. So if you cannot get in prison quickly, then you have to organize boot camp for yourself with heavy physical exercises and half hungry diet. It is impossible to organize it at home. But in adventure trip it is easy. I did not sent TN before, because I was not sure if I will be able to travel at all with my vertigo. But now I found out that riding bike with vertigo is much more easy then walking. So I am pretty sure that I will be able to do my proposed trip. As always I will appreciate your letters. I started my trip from Cozumel, which is still empty except for the days when cruise ships are coming. My Favorite hotel "Pepita" raised its rates to 380 pesos per night. But with peso exchange rate dropped to 13.4 per dollar it is still less then $30. On my way to Tulum I visited Oscar y Laly restaurant. These who read my Notes for a while may remember that beautiful campground behind the restaurant, which I discovered in Jan 2004. Oscar died in March of this year. Property is fenced and guarded. It will be three 2,000,000 dollars homes built on that site. It was last site with public access on entire ocean shore from Cancun to Tulum. Now, if you do not have couple million dollars you can access ocean only from mega hotels or from Disney-like, but low taste amusements parks occupying entire shore. In Tulum I stay in the same Weary Travelers Hostel. On first night my dorm neighbors were two Holland girls, which was nice. Next night it was group of young Israeli tourists. 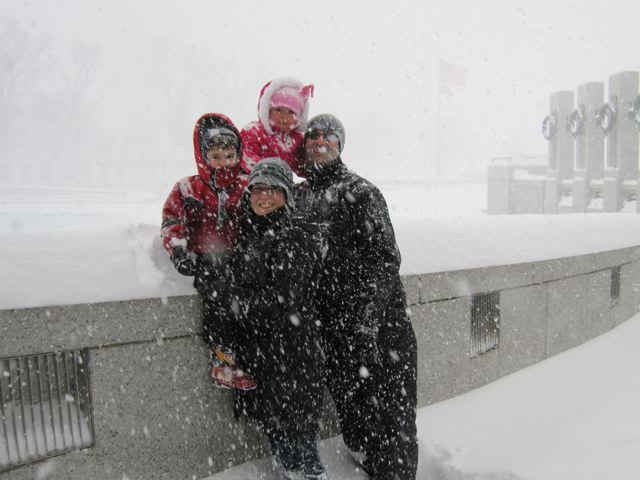 Experience travelers know what its means. In Soviet times, tourists leaving Soviet Union were instructed on how to behave in order do not harm the reputation of Soviet Union. It will be nice if Israel government instruct their young travelers in the same way. I did not go to Uxmal which I visited last year. I will not describe every place which will be quite boring. My favorite is Mayapan which is usually even not considered to be one of main sites. Here, architectural design is clearly visible. 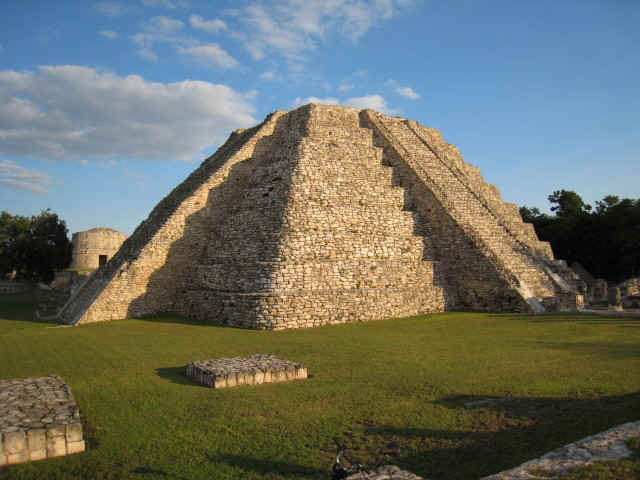 It makes Mayapan different from other ruins where different buildings are scattered through the sites obviously without any plan.In Chichen-Itza, the hordes of peddlers and guards are trying to make your visit miserable. Here I was alone. I can climb any ruins and it was nobody to stop me. 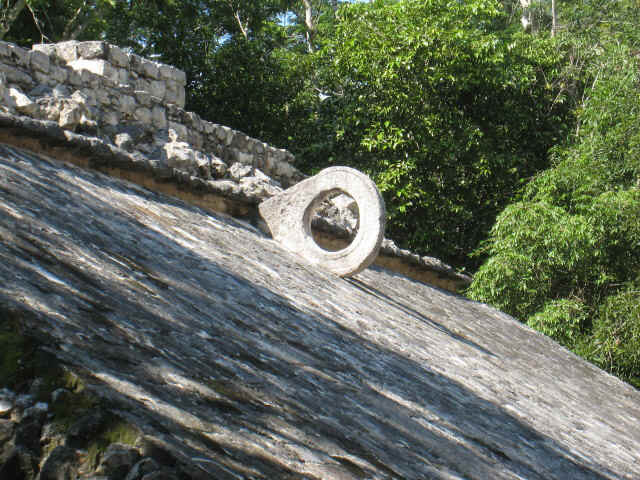 As for ruins itself, Mayapan?s ones, in my opinion, are just slightly less significant then Chichen?s. Mayan achievements are amazing. They built huge structures, compatible to Egyptians? ones. And they did it without wheels, without pack animals, without metals. They actually were in stone age. They have only wooden and stone tools. Their structures are mainly not buildings, but monolithic structures because they did not use arches, known to Greeks and Romans. 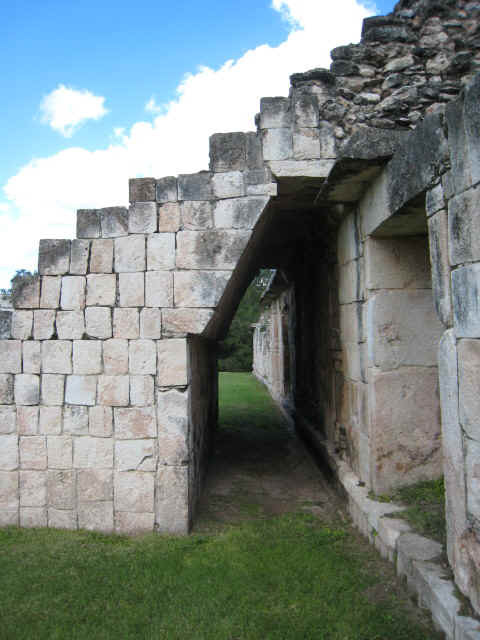 They use so called Mayan arch, see attachment, which is much more poor designed then Roman?s one. So along with admitting their achievements, the question is raised: why they did not invent these useful things which other ancient civilizations use? Straightforward answer is -- because they were not so clever. I afraid I will get some angry letters from Mayans. Their civilization also was very conservative. But both these reasons can be correlated. 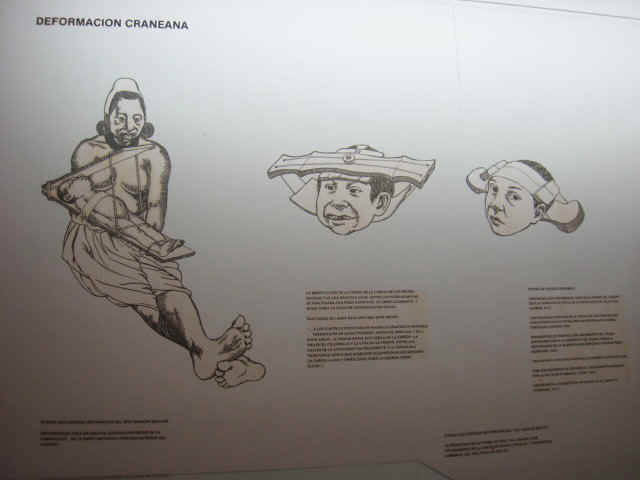 Captains of Mayan version of basketball teams were beheaded. Another main concept of all ancient American civilization is this: Sun will not rise next morning without some bloody donations. So, certain number of human hearts should be delivered to hungry Gods. Once Gods required 20,000 hearts next morning. It was delivered! Who decided how much Gods are need - the priests. Ancient Americans constantly fought with each other in order to have enough prisoners of war to fulfill the Gods orders. Mayan civilization can be the textbook for anti-religious propaganda. 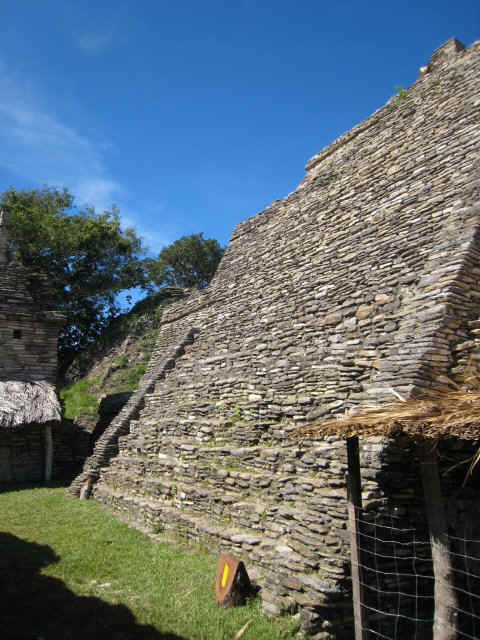 Most of Mayan Great cities were abandoned before Spaniards arrived. Scientists proposed different theories. I have my own opinion. Some religions have their basic concepts good for their Gods and healthy for their people. For example: circumcisions of boys and eating healthy prepared food, which is common for Muslims and Jews, and also avoiding swine, which is quite actual today. The basic concepts of Mayan civilization were quite unhealthy and unproductive. This is why it declined... I think. I bought two books both written by Mexicans. It was a mistake. Translation to English is terrible. But one book has transparencies with possible reconstruction of ruins superimposed over the current pictures of corresponding ruin. It is very useful, because it is difficult sometimes to distinguish one pile of stones from the other. Now, I remember and can identify major Mayan ruins. Another book was determined to prove that the Maya were peaceful people, which sound strange keeping in mind all above described bloody customs. However, nowadays Maya, which compose majority of population of Yucatan peninsula are very peaceful, quiet and mellow people. I tried for experimental purposes, and I found that behavior which will infuriate any other people does nothing to Maya. There are also no scams or overcharging here, so common in other parts of the world. Cynical people could mentioned that cheating and scams should require some sophistication in thinking. Well, it is true. Anyhow, I feel real sympathy with these small (1.5 m or 5ft) people, who looks amazingly the same as their ancestors. Contrary to general opinion, I think that the Spaniards, who are usually blamed for destroying of the Mayan civilization, deserved the credit for freeing Mayan people out of dependency from their bloody Gods. 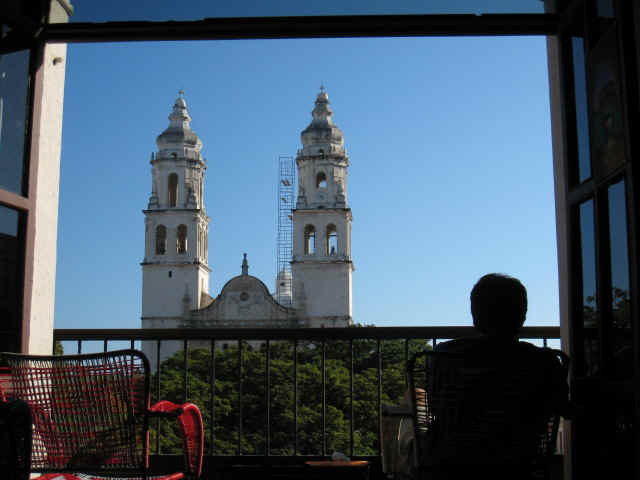 PS: Campeche where I am now is amazing colonial town. I am in the State of Chiapas, Mexico. This state used to be considered a dangerous place because of activities of Zapatistas. Those who are not familiar with Central American issues do not mix them with Sandanistas, who are in Nicaragua. And also do not mix them with Zapotec, which is the name of ancient American civilization and Mexican State. This confusion similar to that one which Americans have with White Russians. Story of Zapatistas remind me Golden Triangle in Thailand, which used to be the place of serious narco business and now it has become a Disney for tourists. Zapatistsas also now became one of main tourists attractions of the state of Chiapas. 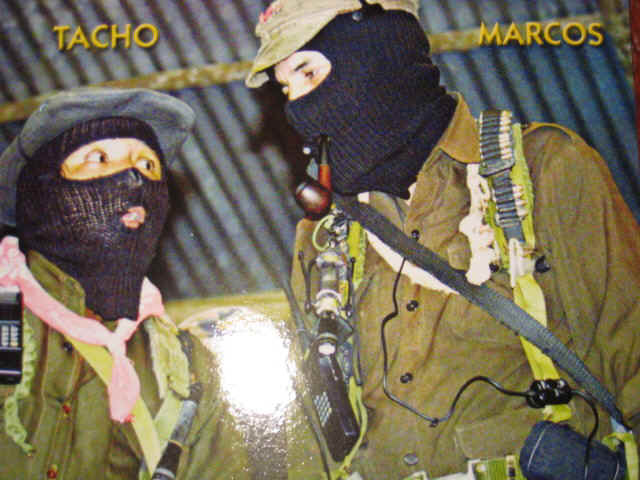 Pictures of masked Sub Comandante Marcos (in attachment) sold at every souvenir stand along with photos of Palenque ruins and San Cristobol De Las Casas cathedrals. Zapatistas proclaimed themselves an anti-globalists and fighters for the rights of indigenous people of Mexico. They gain support of libertarians, anarchists and many other leftists groups, but not from communist states Cuba and China. I spent 2 nights in Ocosingo, the stronghold of Zapatistas. It is safe, old women wear traditional clothes, young chicas - designers jeans, music stores blast air with Afro-American rap. The whole world quickly became very uniform. Even in stronghold of anti-globalists, effects of globalization are quite visible. There are only two countries I know, which are not affected by globalization: Cuba and Burma. And these two states are paradise for the tourists, but not for people who live there. 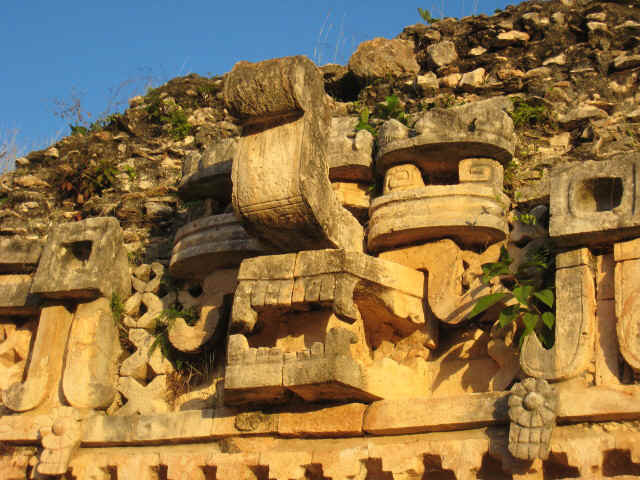 Mayan people who live in Yucatan are called Maya. Across the state line in State of Chiapas they are called indigenous people. Two main groups are Tzotzil and Tzeltal (to confuse you even more). There are every day tours from San Christobol to their villages. I did not go. I do not like these human zoos. Also they are known to be unfriendly, which is understandable, if every day loads of tourist came to photograph them. My reader Misha M step up in the defense of Maya (his letter in attachment) and I should admit that he is right. 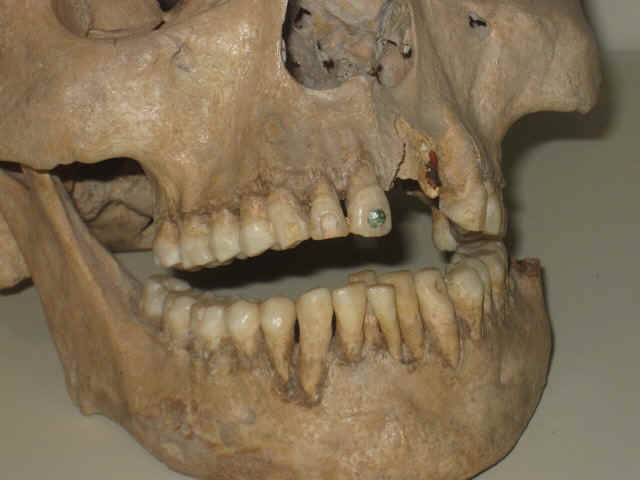 Also in attachment are two examples of Mayan ingenuity: They drill holes in teeth to insert gem stones. How they did it without dental drill machine? 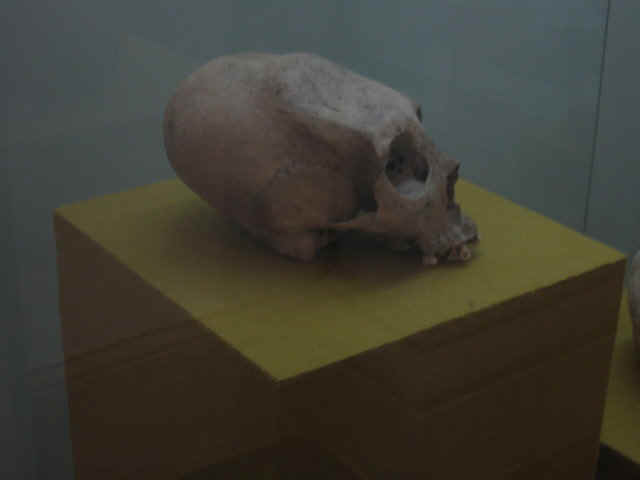 Also they flattened foreheads of children to get typical Mayan form of skull. Some people in the street have such type of skull. May be this custom did not die out completely. Best Mayan ruin (not really ruin, very well preserved) Palenque is in Chiapas State. 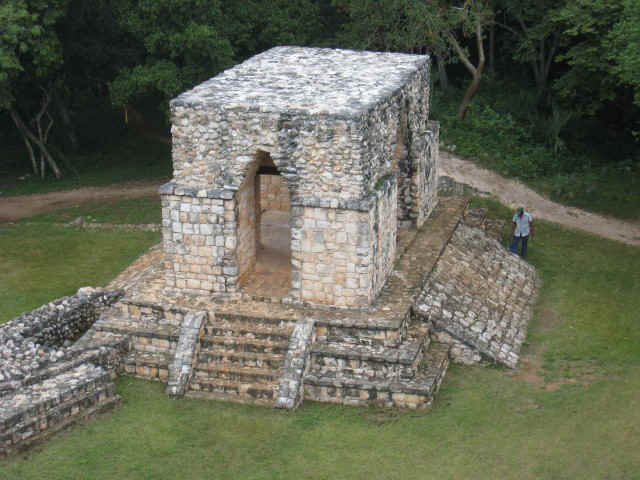 It was built by King Pakal I who ruled for 68 years. More then Fidel Castro. After Palenque and San Christobol I went to Puerto Arista at Pacific coast. There is nothing there except for sand and very pacific Pacific ocean. Waves however were big. It is always easy to get to ocean. On my way back big wave thrown me on sand with such force that my mask almost broke my nose. Why I still do such stupid things? Read Pushkin?s "Fiesta during the plaque time"
I'll step up in the defense of Mayas! Anybody can build huge structures using wheels, metals, pack animals and power tools from Hitachi, now try to build these structures without any such tools - this is where you really need a great deal of cleverness! Secondly, the main reason I feel like defending Mayas, is because personally I also haven't invented neither wheel nor Roman arch nor metals. I agree that it's an oversight on my part, but I reject that it implies my stupidity. In fact, most of the smart people I know haven't invented any of these things - the much easier way of acquiring wheels and other ideas is by stealing them from others (buying and barter might also work). The more secrets a civilization has stolen the more advanced it is. I.e. Europeans have stolen from Arabs and ultimately from Asians many quite useful things from paper and Algebra to black powder which was actually quite useful in the Conquest. Horses, btw, were also quite important in the Conquest, and who got the neat idea that instead of hunting and eating horses you can ride them or use as pack animals? I believe this idea was stolen by proto-Europeans from proto-Arabs, which might explain why there always have been tension b/n the two cultures. 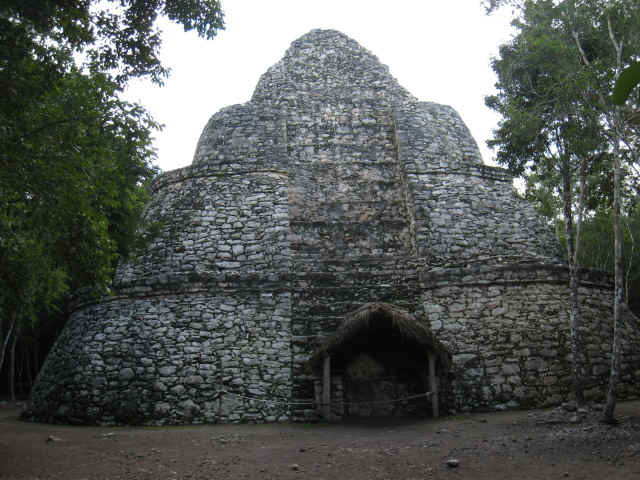 The Mayas, in this respect, were disadvantaged - there were no other advanced civilizations around them from whom they could steal useful tricks. The whole continent was populated very sparsely, the nearest civilization from which Mayas could have stolen were Inkas many thousands miles away, behind the impassable peaks of Andes and similarly impassable jungles. 7. Divers of all world dream of seeing beautiful spotted manta ray. 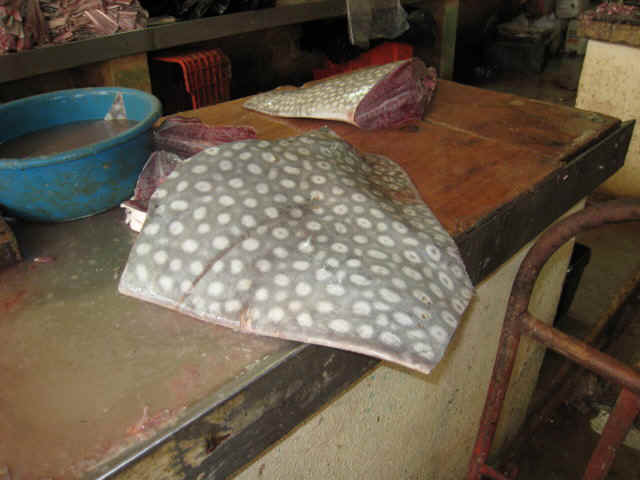 At Campeche fish market they can buy piece of this fish. While I was in Palenke, Mexico, one guy told me about Pokaya volcano in Guatemala and showed me some pictures of lava taken from short distance. I was in Guatemala in 2005. At that time Pokaya was not so active. I changed my plans and went to Antigua, Guatemala. Tour to volcano cost amazingly $6, plus $5 park entrance fee. I also rented a horse for $10. Nobody else in my group rented a horse. It is not a difficult hike for a person with good ankles. We came to a place where red hot lava was emitted from the side of volcano. It is not the USA. There were no warning signs, nothing was prohibited. 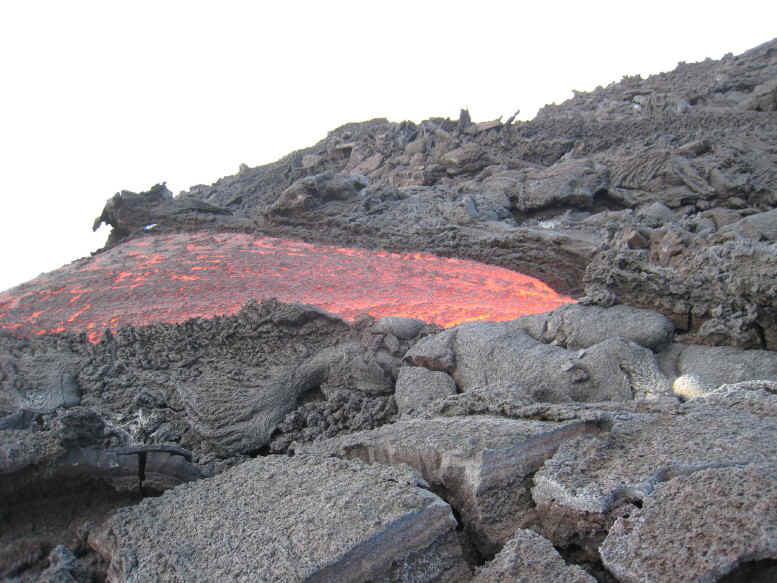 You can come to the river of flowing lava as close as you want. However it was impossible to come closer then 2 meters because of intense heat. It was amazing. I fulfilled my life dream. I even made a video. Roasting marshmallows above lava is favorite activity at Pokaya and most dangerous one, not for you, for your camera. After marshmallows, I hold my camera with the same sticky fingers. Sugar diffused into sensitive camera intestines and next day my camera died from sugar diabetes. I threw a water bottle onto moving lava. It did not explode immediately, but rode above lava for about 10-15 seconds. 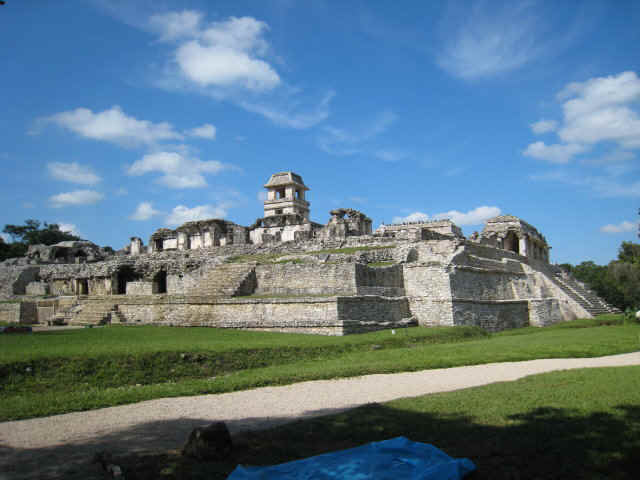 After Antigua I went to Flores, Guatemala to see Tikal. From there I went to Ambergis Cay, Belize for some scuba diving. I went to famous Blue Hole, 50 meters below. I expected that heavy exercise of vestibular apparatus will help with my vertigo. It did not. After Ambergis I went to Cozumel, Mexico. It will be useful for divers to know that Ambergis is two times cheaper then Cozumel and two times better. Reason? Americans are afraid to go to Belize. 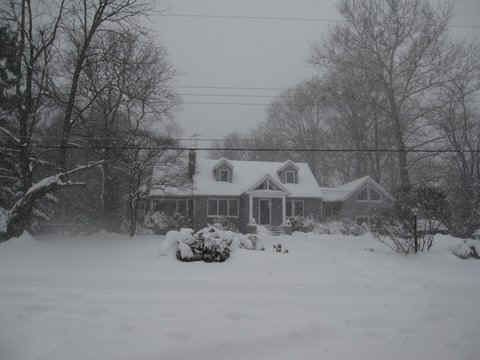 This is why it is buyers market at Ambergis and sellers one at Cozumel. "On your adventure with waves - consider yourself lucky! I think the mask might've actually *protected* your nose and prevented it from being broken. I have a neighbor who 6 months ago had a very similar experience (but without a mask) while swimming in waves in Playa del Carmen. 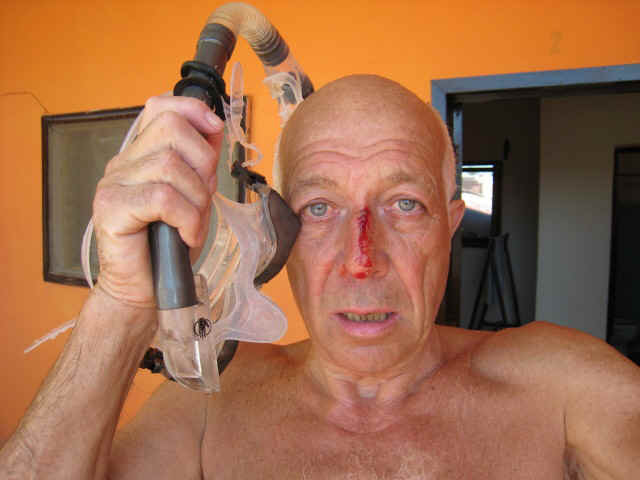 Only he wasn't so lucky - the wave threw him against the sand with such force that he had multiple fractures in his facial bone and needed to have emergency surgery right there in Mexico." I am quite experience with white water, and this was my first accident. By analyzing it, I understood why it happened. Waves at Punta Allen beach form pipes. These type of pipes are ones in which surfers like to serf. 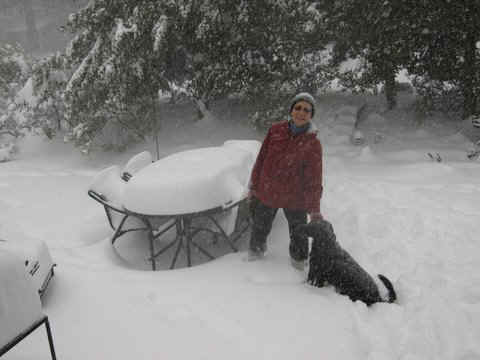 Upper portion of such a wave fell directly from the top to ground. And if you happen to be there you will fall down, head first.